Sanya Phoenix International Cruise Terminal has received more than 380 international cruise liners since its opening in 2007, ranking the first in the country in the amount of passage transportation. 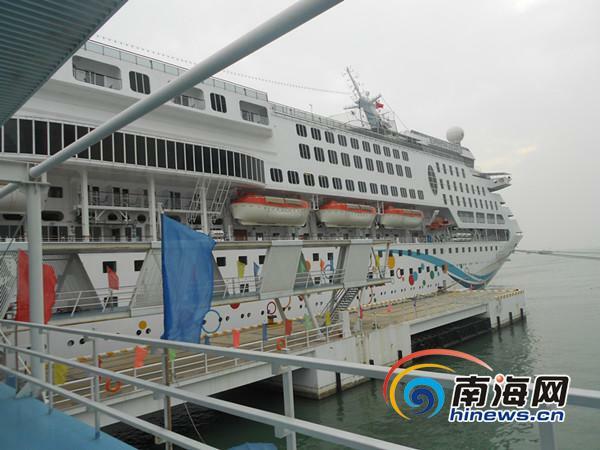 To enhance economic development of Sanya cruise industry, the phase II project of the cruise terminal is under busy construction, reports hinews.cn. According to related official, over 118 cruise routes have been booked so far in 2012, while passage throughput will exceed 200,000 approximately. International cruise liners are expected to call at the terminal for 22 times during the 15-day Spring Festival holiday, and estimated to receive 42 international cruises in the whole February, which is far more than expectation. Sanya Phoenix International Cruise Terminal has only one 80,000-ton-level dock at present, which is not capable of receiving more than 2 cruise liners at one time. The phase II project will add a 30,000-ton-level dock, a 100,000-ton-level dock, a 250,000-ton-level dock and two 150,000-ton-level docks to the terminal. After completion of the phase II project, Sanya Phoenix International Cruise Terminal will be capable of receiving six 30,000 – 250,000 ton cruise liners, which makes it one of the best homeports in Asia in its construction scale and level.